Southern junior Baylee Wolfe spikes the ball over the net, during the Lady Tornadoes’ straight games win on Tuesday in Racine, Ohio. South Gallia’s Makayla Waugh (22) sets the ball in front of teammates Rachal Colburn (6) and Isabella Cochran (10), during the Lady Rebels’ setback on Tuesday in Racine, Ohio. RACINE, Ohio — Back in the win column with a sweep. 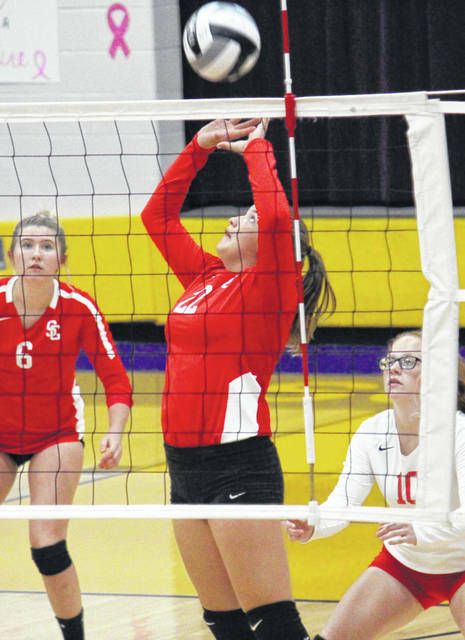 The Southern volleyball team snapped its four-match skid on Tuesday inside its home gymnasium, as the Lady Tornadoes picked up a straight games over Tri-Valley Conference Hocking Division guest South Gallia. Southern (3-13, 3-10 TVC Hocking) scored the first six points of the night, and 10 of the first 11. South Gallia (7-11, 5-7) battled back to within three points, at 16-13, but the Lady Tornadoes answered with a 9-to-2 run to seal the opening game by a 25-15 count. The Lady Tornadoes’ opening game win was highlighted by a trio of aces and nine kills, while South Gallia had seven kills and two aces in the opener. The Lady Rebels took their first lead of the night at 4-3 in the second game, and stretched it to two points at 7-5, 8-6 and finally at 11-9. The Lady Tornadoes scored the next six points, however, and South Gallia trailed the remainder of the set. SHS led by as many as six points and wound up winning the second by a 25-21 count. Both teams had four kills in the game, with the Lady Rebels picking up a 3-to-1 edge in aces. The guests led 1-0 in the third game, but surrendered the next three points. South Gallia tied the game at three, but Southern claimed the next three markers and never relinquished the advantage. The Purple and Gold sealed the match with a 25-14 victory, in which they had eight kills and three aces, while giving up just three kills and one ace. The season series between the Lady Rebels and Lady Tornadoes is now tied at one, as SGHS claimed a 3-1 victory in Mercerville on Sept. 11. Southern also led 2-0 in Monday’s match, before dropping three straight games to Federal Hocking. Third-year SHS head coach Kim Hupp noted her team’s ability to stay aggressive as what made the result different on Tuesday. Both teams finished with seven missed serves in the match, giving Southern a 90.4 serve percentage and South Gallia an 82.4 serve percentage. The Lady Tornadoes’ 21 kills led to a 25.0 hitting percentage, while SGHS had 13 kills, but a sub-zero hitting percentage. The hosts earned a 58.5 side-out percentage, while the visitors had a 39.7 side-out percentage. 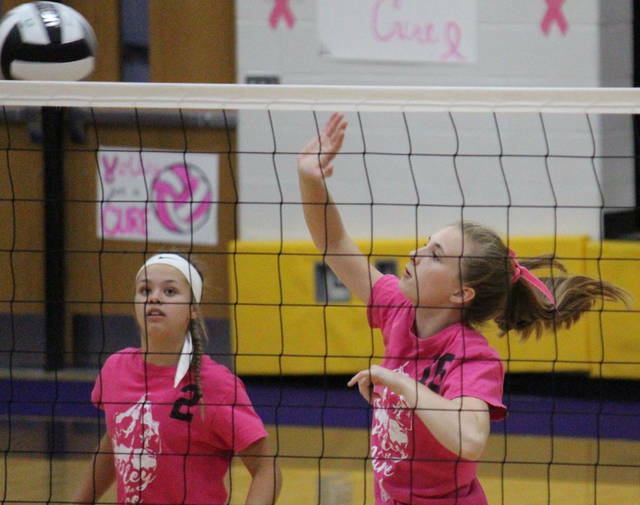 The SHS service attack was led by Baylee Grueser with 17 points, including a pair of aces. Sydney Adams was next with 11 points and one ace, followed by Marissa Brooker with seven points and two aces. Baylee Wolfe earned four service points and one ace for the victors, Phoenix Cleland added three points and one ace, while Peyton Anderson chipped in with two points and an ace. South Gallia’s service was led by Christine Griffith with seven points and an ace. Rachal Colburn finished with five points and two aces in the setback, while Makayla Waugh, Faith Poling, Amaya Howell and Emma Shamblin each each two points, with Waugh and Poling both picking up an ace. Isabella Cochran rounded out the SGHS service with one marker. Wolfe led Southern at the net with match-highs of 10 kills and four blocks. Jordan Hardwick contributed six kills to the winning cause, Cleland chipped in with two kills, while Adams, Brooker and Mickenzie Ferrell each had one kill. Brooker and Adams tied for a match-high 10 assists, with Cleland leading Southern’s defense with 15 of the team’s 39 digs. Colburn paced the guests at the net with six kills. Griffith and Katie Bowling both earned two kills for SGHS, Howell, Poling and Waugh each had one kill, while Shamblin posted a team-best seven assists. 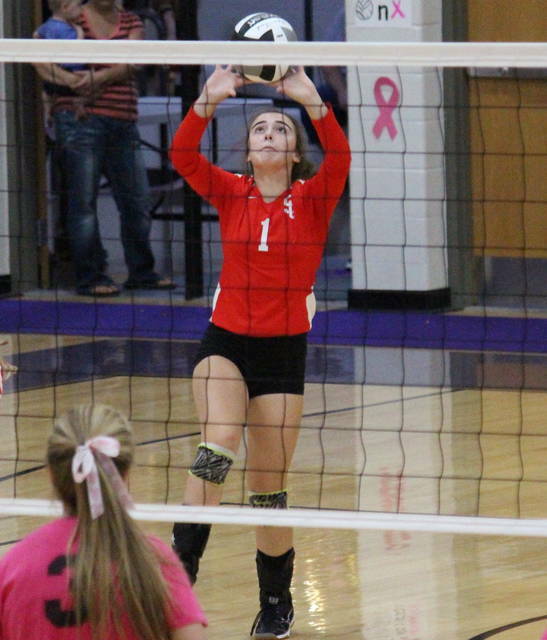 Cochran led the Lady Rebel defense with 13 of the team’s 53 digs. South Gallia returns home to face Eastern on Thursday, when the Lady Tornadoes will be invading Trimble. 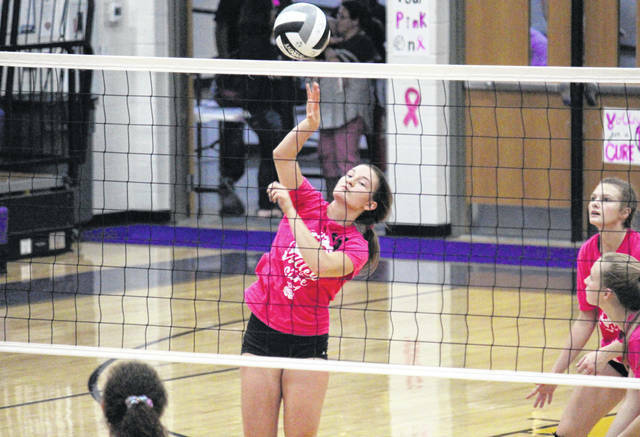 Tuesday also served as Southern’s annual Volley for the Cure match.